As you can see, I cut the milk gallons horizontally just below the level of the handle all the way around leaving about an inch an a half attached so that I can fold over the top part to later fold back over loosely. Note: You will not use the handle but carry the whole thing by supporting the gallon underneath at the bottom with both hands when lifting it, like carrying a tray. If you notice I only fill it to about half of the bottom with soil about 2 inches at this point. Make sure soil is level. 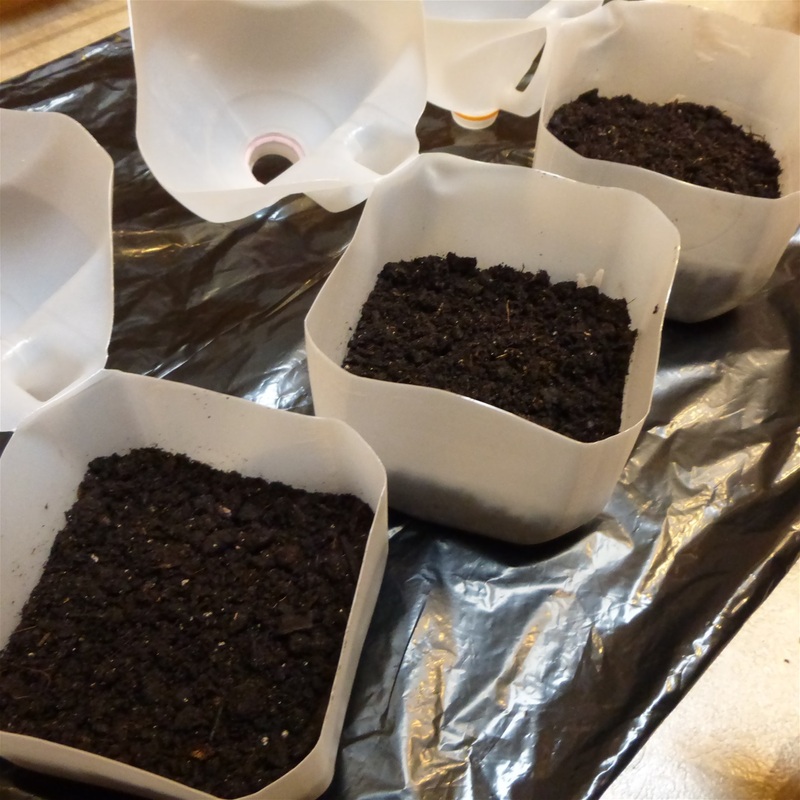 A good way to settle the soil is just raise the whole gallon and drop it onto a counter about 2 inches above the counter. This packs it a little and evens it out in the gallon.